Need to create an extreme look in your next film project? With ProExtreme from Pixel Film Studios, you can take your footage anywhere from punk-psychedelic to action-packed in the click of a button. Create endless bold and aggressive looks in FCPX with ProExtreme's collection of 100 intense color grades. Whether you are taking your audience to the mouth of a volcano or the backroom of a nightclub, ProExtreme from Pixel Film Studios can set the mood and create the visual style of your film with intense, overdriven colors. The color grades are not the only thing that’s extreme about this collection. With 100 presets to choose from, ProExtreme provides the ultimate library of color grading plugins for Final Cut Pro X. You can simply mouse over the ProExtreme presets in the FCPX effects browser to preview them on your footage in real time. ProExtreme is not for the faint of heart. Inspired by the color tones of many contemporary dramas and action films, the ProExtreme collection can push your color grades to the limit with aggressive color tones and bold styles. Pixel Film Studios professionally created these extreme color grades to work directly with FCPX. ProExtreme can help you stylize your next Final Cut Pro X project in the click of a button. Simply drag and drop one of the color grade presets on to your clip, adjust the color strength slider, and prepare to get extreme. Learn how to create and customize your own original extreme color grade with the ProExtreme Lesson. Let’s begin by selecting our footage from the FCPX media library. Then Locate ProExtreme in the FCPX Effects library. Scan through the ProExtreme presets and choose a style that works best for your project. For this example we will be using the ProExtreme 31 preset. Click and drag the effect directly on top of your footage. Select your media and go to the Inspector Window. Start by adjusting the Effect Amount slider. This slider controls the amount of the effect preset chosen. For For Example moving the slider to the right will make the effect more noticeable. While moving it to the left will make it less noticeable. Where do I find ProExtreme? 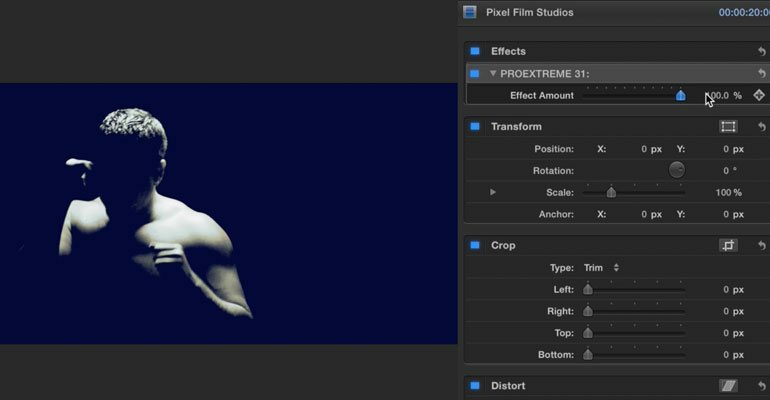 Once the installation is complete, you can find ProExtreme in the FCPX effects library. How do I apply ProExtreme to a clip? First select the clip you wish to effect in the timeline. 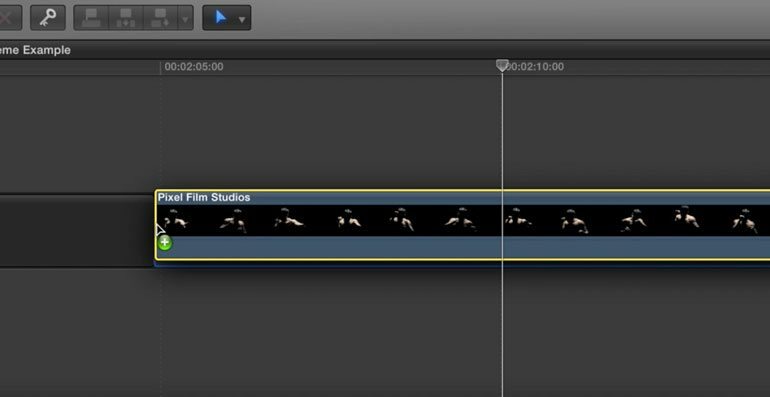 Then scrub your cursor over the PROEXTREME presets in the FCPX effects library to preview them in real time. How do I customize the look of ProExtreme? Once you have applied ProExtreme to a clip… Select the clip in the timeline. You will see a new set of parameters in the FCPX Inspector. Use these parameters to control the look of the ProExtreme effect. How do I copy ProExtreme settings?